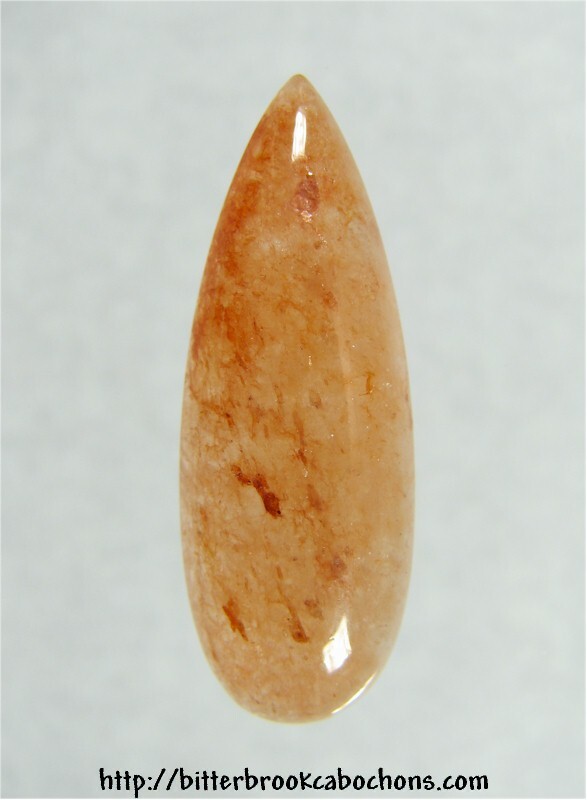 This long Brookwood Stone teardrop cabochon has lots and lots of sparkly flecks inside and wisps of red color scattered throughout. An unusual look for Brookwood... very interesting! Dimensions: 29mm x 10mm x 5mm. Weight: 11.50 carats.